“A range of harms will be tackled as part of the Online Harms White Paper, including inciting violence and violent content, encouraging suicide, disinformation, cyber bullying and children accessing inappropriate material. The idea of an independent regulator echoes the recommendation of the report, Regulating in a digital world, published by the House of Lords Select Committee on Communications last month. The idea of a duty of care echoes that of the NSPCC in its own report Taming the Wild West Web, and is something the Commons Science and Technology Committee also suggested in its report on the Impact of social media and screen-use on young people’s health (January 2019). The white paper also cites the Digital, Culture, Media and Sport (DCMS) Select Committee report on Disinformation and ‘fake news’: Final Report (HC 1791), published on 18 February 2019. The white paper follows a consultation run by the DCMS on the basis of the Internet Safety Strategy green paper published in October 2017, which closed in December 2017 and produced a government response in May 2018. In other words, this is part of a strategy which has been drawn from a range of inputs and refined over a period of time. Nevertheless it has not been universally welcomed. The Lawyer, Regulating the wind — can the government tame the tech giants of the internet? Last week the Prime Minister took time out of her busy Brexit schedule to speak at a Serious Violence Summit in Downing Street, saying the issue was a “top priority” for government as well as for the organisations represented round the table. She said the summit was about bringing people together in a “multiagency, whole-community approach to serious youth violence”. The summit seems to have been mainly focused on youth violence, but other types of violence were also discussed, and various ministers made announcements that day or later in the week. The Home Secretary, Sajid Javid, announced that he was launching a consultation to ensure public bodies, including hospitals, raise concerns about children at risk of becoming involved in knife crime. Jeremy Wright, Secretary of State for Digital, Culture, Media and Sport, announced plans to “harness [the] power of sport to help tackle youth violence”. The Justice Secretary, David Gauke announced New support for witnesses of serious violence and murder, saying “ People who witness serious acts of violence should have the same access to specialist support as victims of the crime itself”. The Ministry of Justice was said to be “considering a raft of new measures, which will focus on supporting victims and witnesses of violent crime and directing youth offenders away from further violence”. Violence against shopworkers was the topic of an announcement later in the week, with the government asking organisations and individuals to contribute to the government’s understanding of the problem, which appears to have got worse: Violence and abuse toward shop staff: call for evidence. “The call for evidence seeks data relating to violence and abuse toward shop workers, including the extent to which incidents are linked to age-restricted sales of products like cigarettes and alcohol. 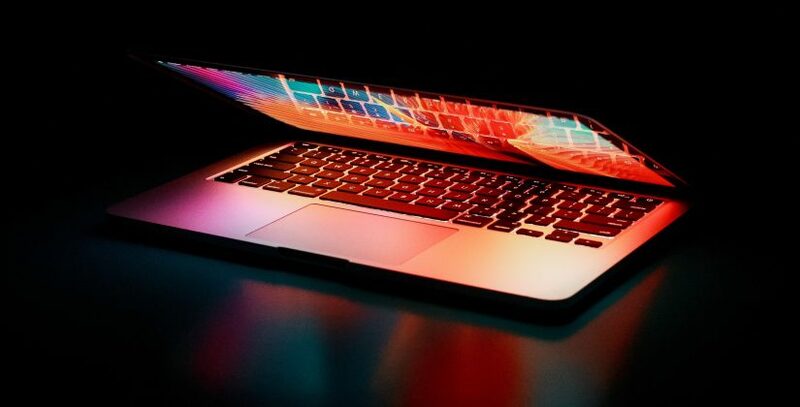 The provision, which appeared to require automated filtering of copyrighted content online, has been amended to ensure newly emerging platforms are not exposed to the same burdens as more established platforms, and that there are other safeguards on freedom of expression. Another controversial provision is Article 11 which requires website operators and social media companies, among others, to make a ‘fair and proportionate’ payment in remuneration for the digital use of press publications. Previously they could index and display snippets of such material in order to provide a link, but not a reward, to the source. Only snippets comprising a “very short extract” or “individual words” will be permitted in future. Electronic Frontier Foundation, The European Copyright Directive: What Is It, and Why Has It Drawn More Controversy Than Any Other Directive In EU History? The Judicial Data Protection Panel (Panel) was established in May 2018. It has now published a policy setting out the standards and procedures it will apply when dealing with complaints concerning the processing of personal data by the courts, tribunals and individuals acting in a judicial capacity. As the policy explains, the processing of personal data by individual office-holders and by courts and tribunals, when they are “acting judicially”, is exempted from oversight by the Information Commissioner’s Office (ICO), by virtue of article 55(3) of the General Data Protection Regulation (GDPR) and section 117 of the Data Protection Act 2018 (DPA 2018). The reason for the exemption is to secure the constitutional principles of judicial independence and of the rule of law. Accordingly, a court, tribunal or individual who has processed such personal data whilst acting in a judicial capacity can properly refuse to provide access to or a copy of such data and refuse to correct such data be under data protection law. Other complaints can still be made to the Panel under a process set out in the policy. Where the individual or court is NOT acting judicially, the complaint is subject to the jurisdiction of the ICO. However, the panel would still try to investigate and resolve any issues before the matter goes by way of a formal complaint to the ICO. The Secretary of State for Justice David Gauke has announced the appointment of Justin Russell as Her Majesty’s Chief Inspector of Probation for a tenure of 3 years from 1 June 2019 until 31 May 2022. The Chief Inspector has a duty to ensure the inspection of probation and youth offending services in England and Wales and to provide independent scrutiny of the quality of work undertaken with individual offenders. Her report’s findings are summarised on Russell Webster’s blog. And as Penelope Gibbs points out in a recent post on her Transforming Justice blog, the current model before its introduction “was never piloted or tested in any way. Equally many of the new practices CRCs (privatised probation companies) have adopted have never been tested either” — such as the increasing use of telephone or video calls rather than more traditional face to face meetings in managing the probation-client relationship. The House of Commons Justice Committee recently published its report Prison population 2022: planning for the future (HC 483) described by Russell Webster as “a hard hitting report urging the government to rethink the way we use prisons”. Among the recommendations made it suggests reducing further the use of short sentences, not just of six months or less, but of 12 months, and focusing more on community sentencing options. It also proposes judicial monitoring to improve sentencer confidence. The committee’s report came just two days after the government’s announcement that the takeover of HMP Birmingham by Her Majesty’s Prison and Probation Service (HMPPS) in August 2018, initially for a six-month period but extended in February 2019 until the end of the summer, will now be made permanent. The contract with G4S will be terminated and the prison brought permanently back in-house. The prison minister Rory Stewart emphasised that this move was a response to the specific circumstances faced by HMP Birmingham and the Urgent Notification received by the Secretary of State from HM Chief Inspector of Prisons. HMPPS has agreed a settlement with G4S paying £9.9 million to cover the additional cost of the ‘step-in’ action, which followed a highly critical report on the prison last year. Discover Leveson, a comprehensive and interactive online research resource, containing all the evidence and publications of the Leveson Inquiry into press misconduct (2011–12), was officially launched on 2 April 2019 at an event just off Westminster Square. Sir Brian Leveson himself gave a speech, and there was a panel discussion chaired by Professor Brian Cathcart, of Kingston University’s journalism school, who led the development of the resource. There is a write-up of the event on the Transparency Project blog. One of the new digital sites, Byline Times, has now gone into print as well. The special Brexit themed launch edition was distributed at the launch of Discover Leveson (see above), where one of its first readers was Hugh Grant. The government has now published its response to two reports concerning the Reform of the Deprivation of Liberty Safeguards and the Mental Capacity (Amendment) Bill published last year by the UK Parliament Human Rights Committee. The committee launched an inquiry last year to review the way Deprivation of Liberty Safeguards were being operated in response to a huge increase in the number of applications prompted by the decision of the UK Supreme Court in the ‘Cheshire West’ case: Cheshire West and Chester Council v P  UKSC 19 ;  AC 896 . The committee published its report The Right to Freedom and Safety: Reform of the Deprivation of Liberty Safeguards in June 2018. The Government’s Response deals with a number of matters raised by the committee, including a definition of “deprivation of liberty” itself and an undertaking to explore the use of “advance consent” to give individuals greater choice over their future care and treatment. If you’re an EU, EEA or Swiss citizen, you and your family can apply to the EU Settlement Scheme to continue living in the UK after 30 June 2021. If your application is successful, you’ll get either settled or pre-settled status. You can go to Gov.uk to Apply to the EU Settlement Scheme (settled and pre-settled status). Free Movement have published a comprehensive guide to the settled status application process includes screenshots of the app and website, a link to a video walk through, case examples and looks at citizenship options for parents and children. 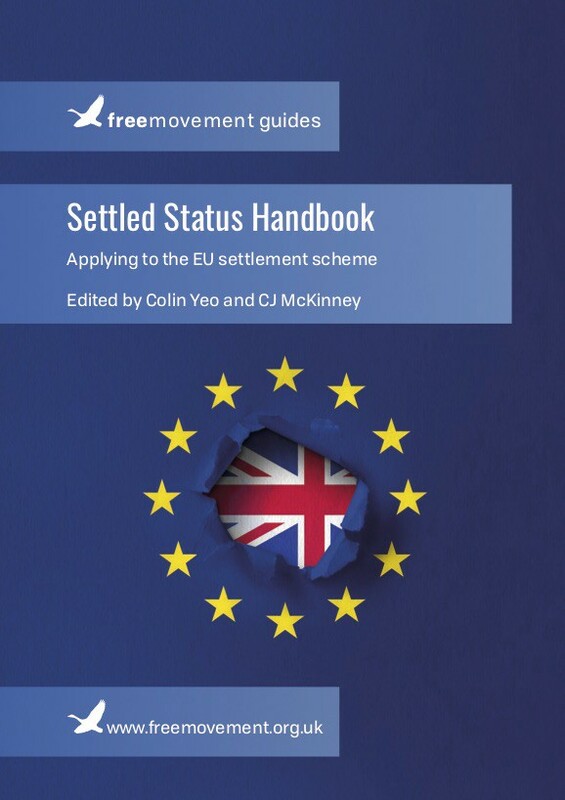 The Settled Status Handbook has been compiled by Colin Yeo and CJ McKinney and costs just £4.99 (discounted launch price). You can buy direct, via the website. A court in Washington, Oregon, USA has dismissed a claim pursued on behalf of a horse, on the grounds of the equine plaintiff’s lack of capacity to sue its owner for damages for bodily injury and neglect. The owner had already been convicted and fined for animal neglect, reports Rosalind English in a recent post on the UK Human Rights Blog, but the Portland based Animal Legal Defense Fund (ADLF) argued that, as a victim of crime, the horse could sue his abuser for physical and emotional damages amounting to more than $100,000 (£74,000) to cover the cost of his ongoing care needs. The case recalls earlier attempts to pursue litigation by or on behalf of nonhuman plaintiffs in the USA, such as the case of Tommy and Kiko, two chimpanzees living in captivity in New York, which we wrote about in Weekly Notes, 19 June 2017. The Appellate Division First Department in Manhattan ruled that such creatures “lack sufficient responsibility to have any legal standing.” See also the case of the “Simian Selfie” which we reported in Weekly Notes, 8 August 2014. Members of the public as well as family justice professionals are warmly welcomed to the latest in a series of debates organised by His Honour Judge Stephen Wildblood QC, the Designated Family Judge for the Avon, North Somerset and Gloucestershire area. A panel including Anthony Douglas, Chief Executive of Cafcass, Sarah Phillimore, Barrister, St John’s Chambers, Bristol, Clive Diaz, Social Worker and Lecturer, Hannah Shead, CEO of Trevi House and A Parent will be debating the proposition that “We make unnecessary use of care proceedings”. Book via this link. The High Court of England and Wales is launching a new Judicial Assistants (JA) scheme. Designed to build on the success of the existing separate arrangements for the provision of JAs for judges in the Commercial Court and Chancery Division in the Business and Property Courts, the new scheme will be further extended to all three Divisions of the High Court. The application process will open in April 2019 and close on 1 July 2019 for placements lasting between three and five months during the legal year October 2019–July 2020. I rather admire the way the EU is defending Ireland’s interests. They really do look after their member states. We should join.